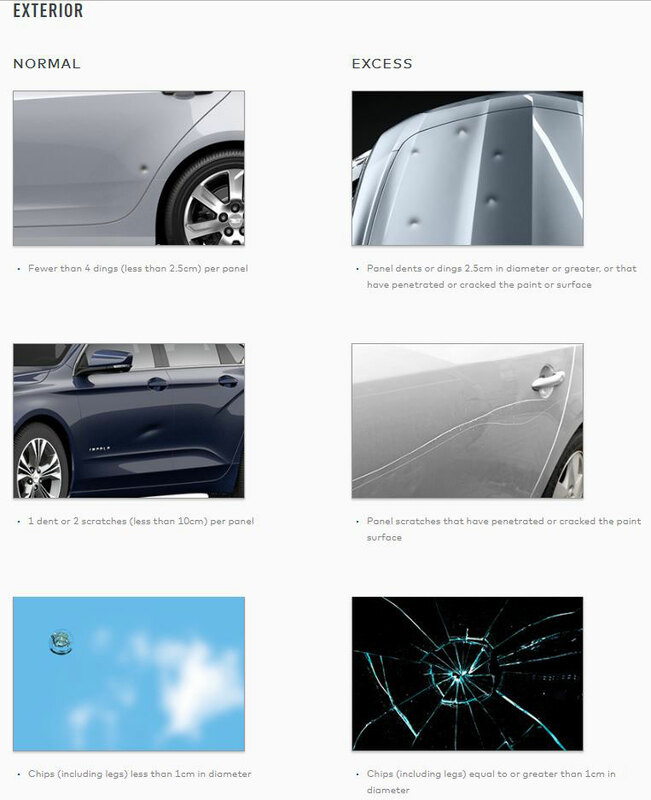 During a vehicle’s life, some wear and tear is expected and considered normal. 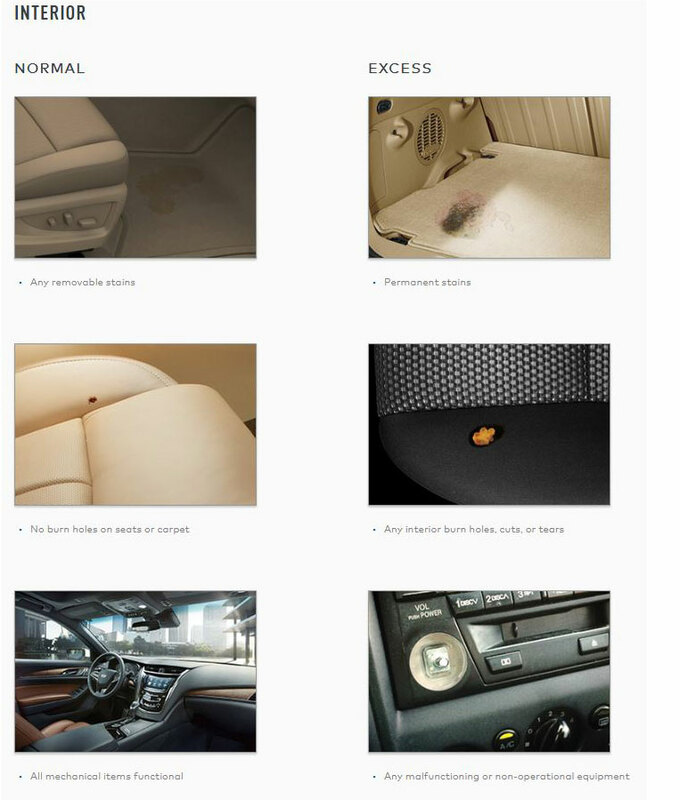 The following information summarizes the most common wear and tear items and gives you an idea of what GM Financial considers normal use. 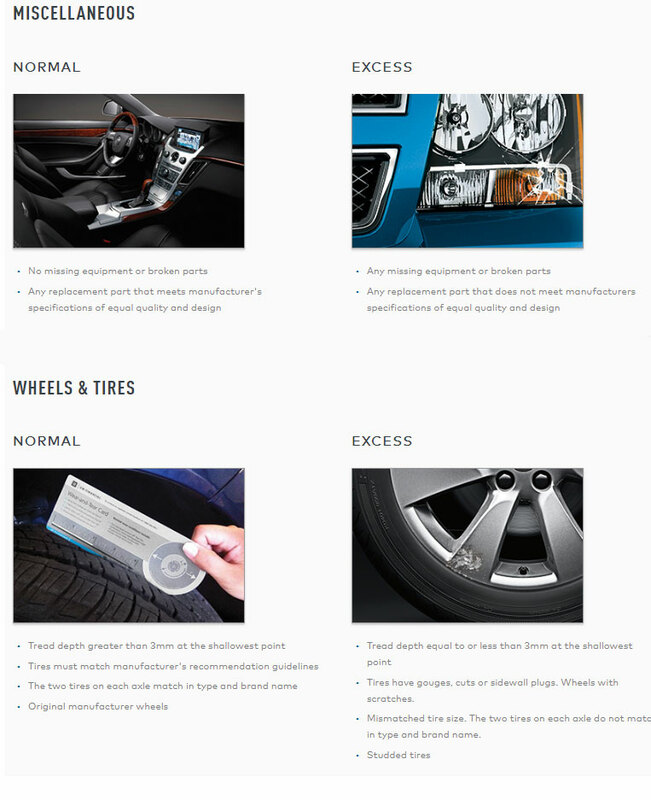 Using the following information, along with a Wear-and-Tear Card, you can review your vehicle’s condition. This information should help you identify any items that may be considered excess wear and tear and result in charges.